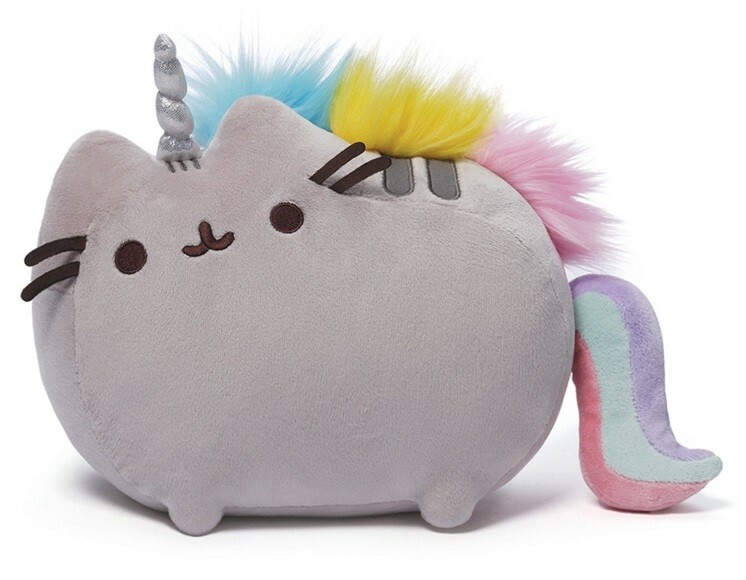 GUND is proud to present Pusheen -- a chubby gray tabby cat that loves cuddles, snacks, and dress-up -- as a colorful unicorn! As a popular web comic, Pusheen brings brightness and chuckles to millions of followers. 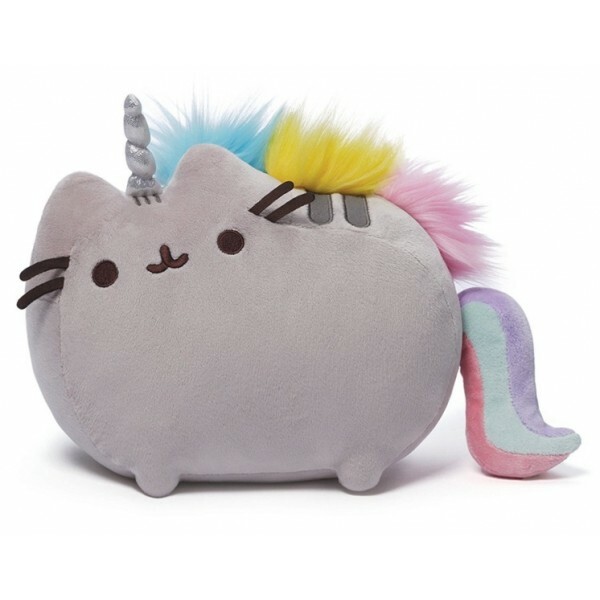 This 13" plush brings the bright and beautiful Pusheenicorn to life! Features a colorful rainbow mane and tail as well as a sparkly unicorn horn. For more than 100 years, GUND has been a premier plush company recognized worldwide for quality innovative products. This high-quality plush is sure to satisfy anyone looking for a new cuddly friend!